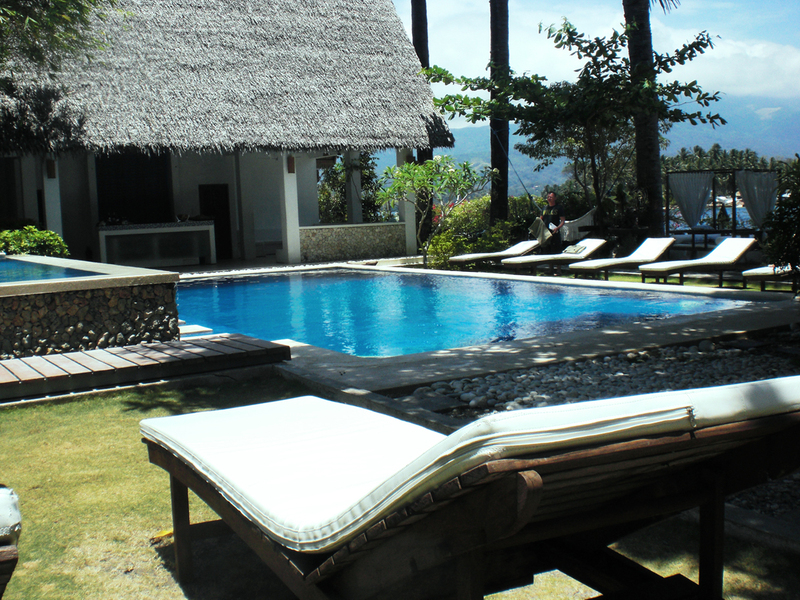 On our last day, we went to Buri Resort, another exclusive joint that’s far from the hotspots of Puerto Galera. It’s so secluded that it has its own island (I think) and you have to ride a yacht to access it. We had drinks with the owner, who is one of our companion’s friends. The gates to one of the most beautiful resorts I’ve seen. Ever. 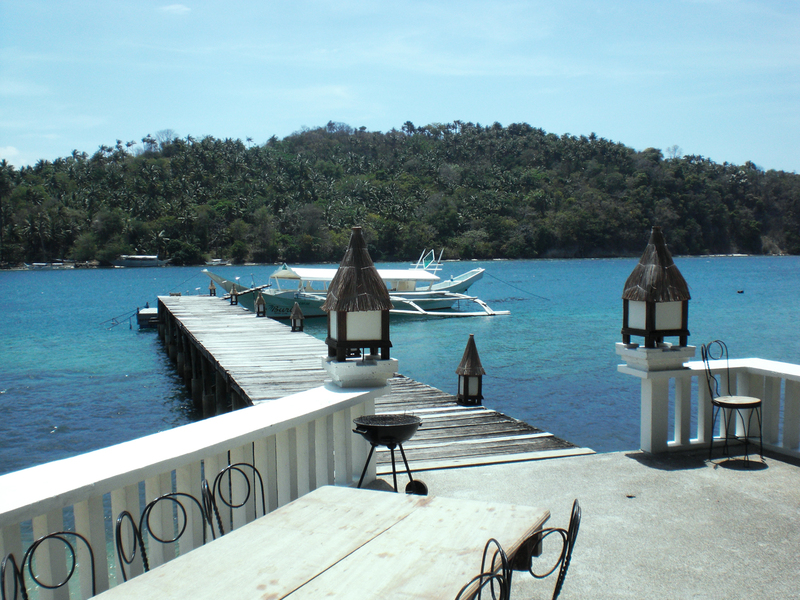 The resort even has a dock that offers a majestic view of the sea. Perfect for soul-searching, which my sister and I did while standing and admiring the view. The resort’s pool area. Doesn’t it look inviting? 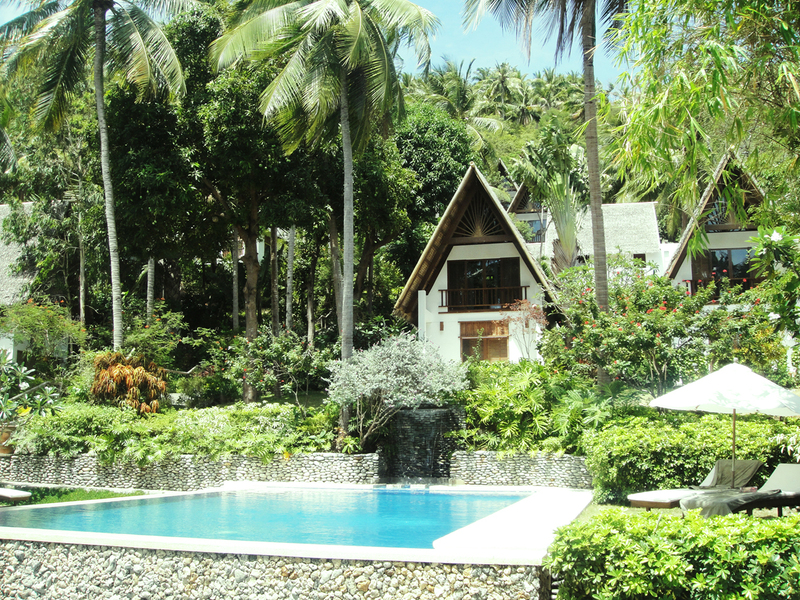 One of the villas for rent. What I love about the place is that it’s covered with trees. 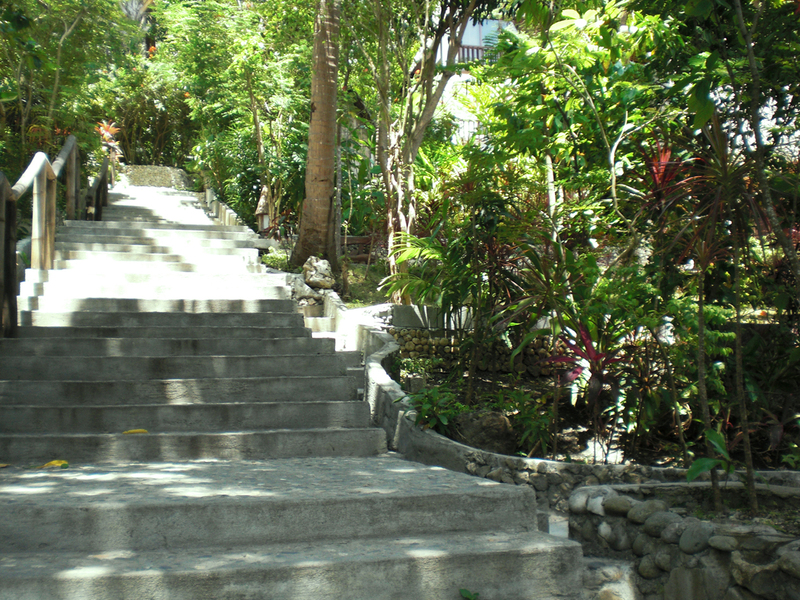 Would you believe that the owner employs only two gardeners to maintain the entire resort? 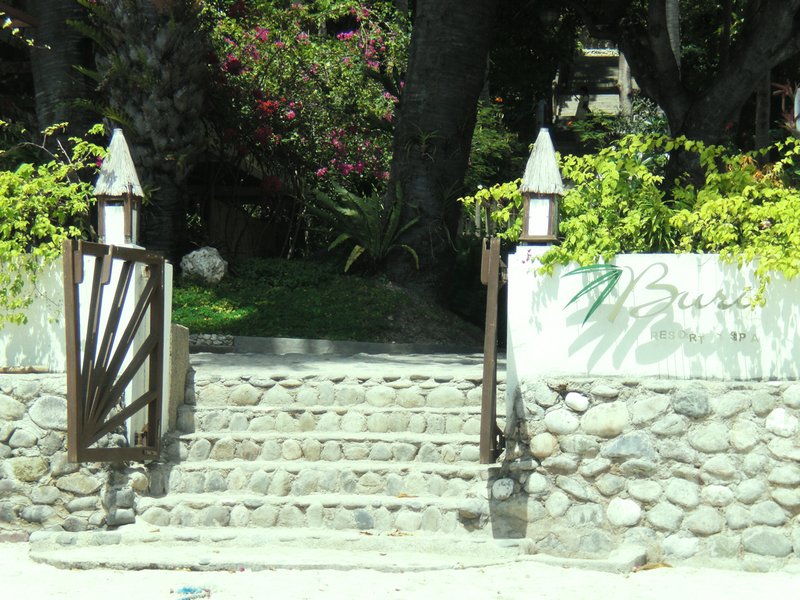 The staircase leads to more villas. We were asked to look around but my sister and I talked about pressing matters so we only got to see the outside. 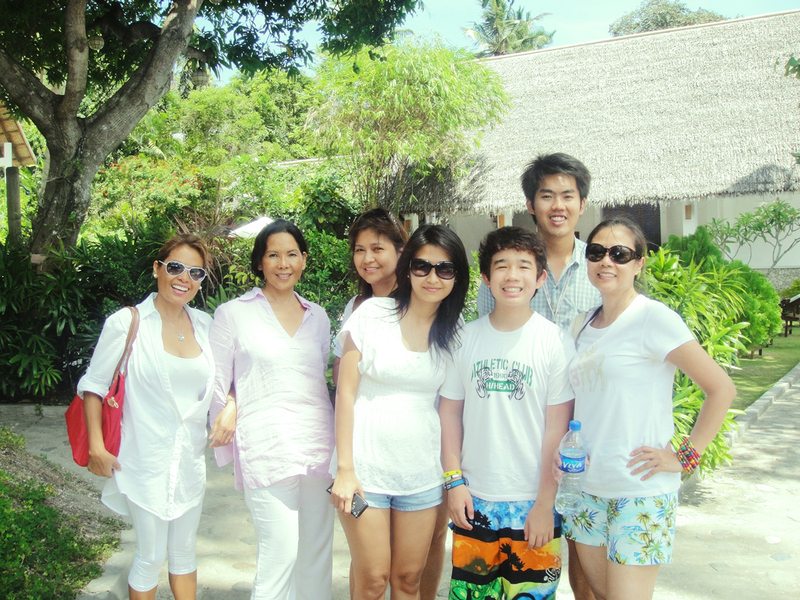 Us with the owner of the resort. She’s second from left. She’s a quiet and sophisticated woman who’s a little shy. But her resort is just breathtaking. Buri Spa and Resort is perfect if you want to really unwind and escape from everything. It’s so secluded that you’re almost cut off from everyone else and it gives you an opportunity to reflect or spend time with a special someone. It’s perfect for writers who need an extra touch of inspiration without the hassle of real life. You may contact Buri here.